Air Condition Repair | K.W. Smith & Son, Inc. Air Condition Repair | K.W. Smith & Son, Inc.
Air conditioners are heavily relied on to keep you comfortable on hot summer days or freezing cold nights. They are also very complex systems that can also easily break down over time, and unfortunately right when you need them the most. Here at K.W. Smith & Son, we know how important your air conditioner is to you and how fast you would like to get it working properly again. 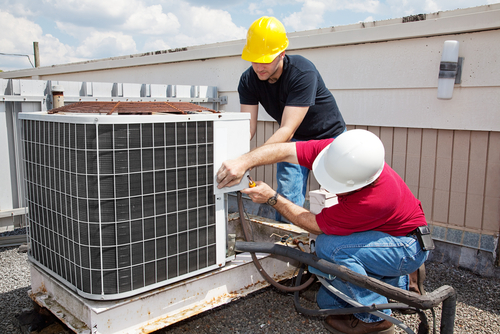 We are the experienced professionals you have been looking for to examine your air conditioner. You can count on us to get your air conditioner repaired in no time. We do it all from repairs to installation. Whatever type of cooling unit you may have, we have seen it all. We are your local air conditioning specialist who have the replacement parts and we can help you choose the right air conditioner size and style for your home. Our job is to ensure you are happy with the air conditioner you have. Furthermore, we take pride in offering affordable prices at a fair rate. For all your HVAC and especially air conditioning needs, we are the company to call. Contact us at (571) 208-0160 for more information. We service the residents of Northern Virginia / D.C. Metro area.